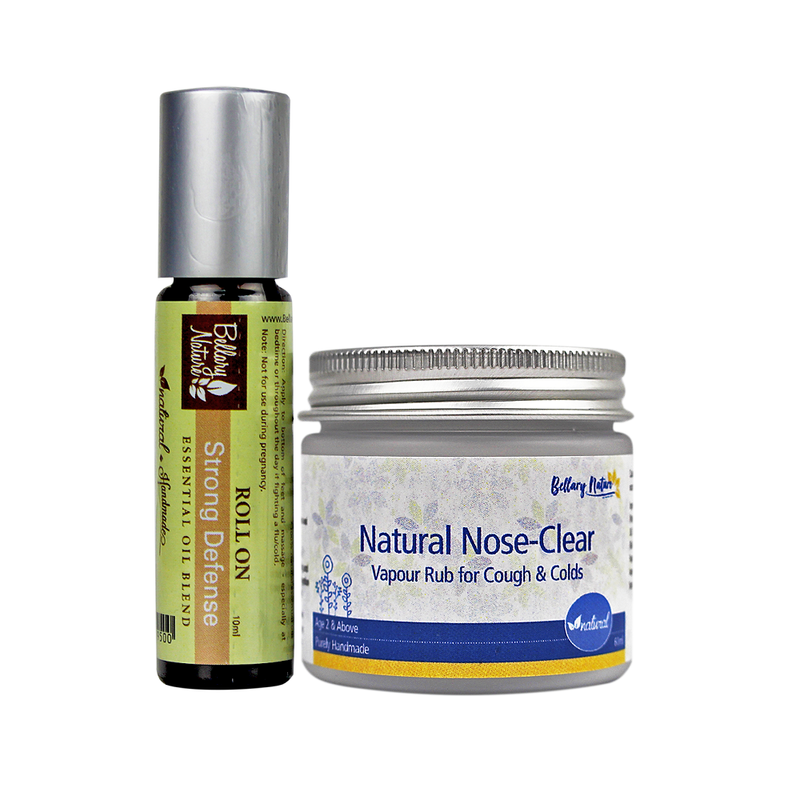 A effective set combining the natural decongestant with antimicrobial and immune-fortifying properties of essential oils to fend off illnesses & relieve symptoms of colds, flu, nasal congestion, etc. Fighting the war against illness or cold and flu? 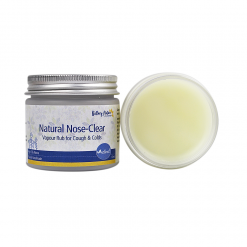 Nose-Clear Natural Vapour Rub (Above 2 Years) – Combined with your loving touch, this safe and effective natural decongestant vapour rub is perfect to soothe and relieve symptoms from blocked nose, respiratory congestion, colds, flu, cough, sinusitis, allergy symptoms, etc. 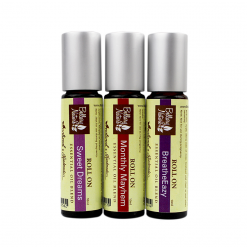 Strong Defense Roll On – Essential oils synergy with varying degrees of antibacterial, antiviral and other germicidal properties to fend off that run down feeling, keep the illnesses away and fortify your immune system to keep you healthier when exposed to cold and flu. With a strong immune system, you are less likely to get ill. When you do, your body will be stronger to defend itself, cutting short recovery time. An excellent combination during times of colds and flu, sore throats and respiratory ailments. Although the oils contained within the Natural Vapour Rub are quite effective against infectious agents, Strong Defense – strongly antiviral and antibacterial – is often applied simultaneously to aid in the fight against infection. 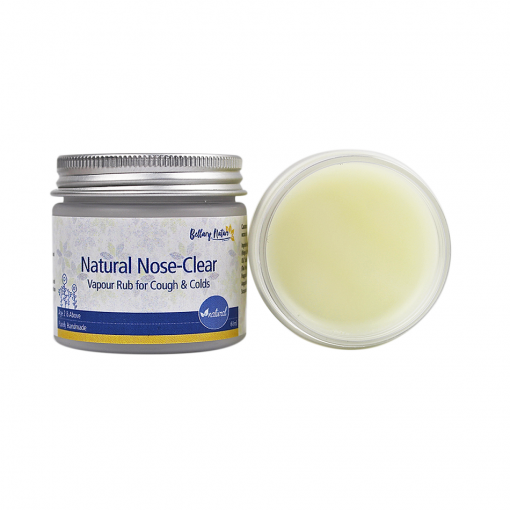 Natural Vapour Rub, meanwhile, is applied to relieve symptoms of congestion in the lungs and help open up airways. 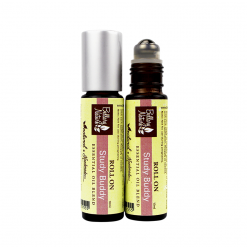 Available to purchase separately: Natural Vapour Rub Kids Version (above 2Y) and Strong Defense Roll On. 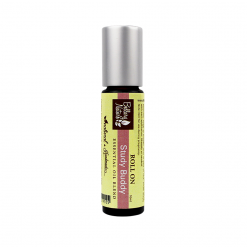 Direction: Apply Strong Defense Roll On generously onto your palm and blend with Natural Vapour Rub until homogeneously mixed. Apply liberally onto onto the chest and back (as well as along the spine) and soles of feet, especially under the four smallest toes. Optionally, massage onto the thymus to stimulate the immune system and under the arms to stimulate lymphatic system. 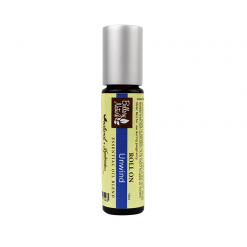 Apply throughout the day if fighting a flu/cold. If you are nursing, taking medication, consult with a health professional before use. 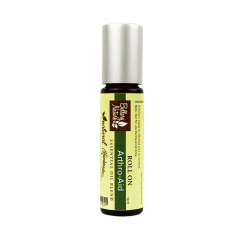 Ingredients: Caprylic/Capric Triglyceride (Fractionated Coconut Oil), *Citrus Limon (Lemon) Peel Oil, *Melaleuca Ericifolia (Rosalina) Oil, *Leptospermum Scoparium (Manuka) Oil, *Ravensara Aromatica (Ravensara) Leaf Oil, *Eucalyptus Citriodora (Eucalyptus Lemon Scented) Oil, *Backhousia Citriodora (Lemon Myrtle) Oil, *Eugenia Caryophyllata (Clove) Bud Oil, D-α-Tocopherol (Vitamin E), Glycine Soja (Soybean) Oil. Ingredients: Prunus Amygdalus Dulcis (Sweet Almond) Oil, Cocos Nucifera (Virgin Coconut) Oil, Cera Alba (Beeswax), *Abies Siberica (Fir Siberia) Needle Oil, *Eucalyptus Radiata (Eucalyptus Narrow Leaf) Oil, *Melaleuca Alternifolia (Tea Tree) Leaf Oil, *Ravensara Aromatica (Ravensara) Leaf Oil, *Agonis Fragrans Branch/Leaf Oil, *Tsuga Canadensis (Spruce Tsuga) Oil, *Lavandula Angustifolia (Lavender) Oil, *Citrus Limon (Lemon) Peel Oil, *Leptospermum Scoparium (Manuka) Oil, D-α-Tocopherol (Vitamin E), Glycine Soja (Soybean) Oil. 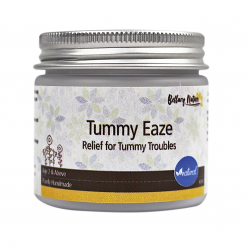 A safe, gentle essential oils-enriched tummy rub that delivers a warming & energizing effect on kids for relief of occasional gas, indigestion, flatulence, stomach discomfort, nausea and diarrhea, etc. This is medium pot – 'Kids Version' for Kids Above 2 Years Old. Click here for Below 2 Years Old Version. 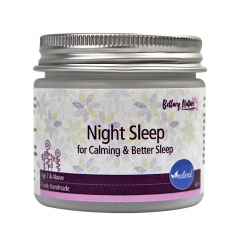 If you have little ones who do not sleep well, you'll need this sleep rub. This salve helps your little ones relax & sleep better through the night. This is medium pot – 'Kids Version' for Kids Above 2 Years Old. Click here for Below 2 Years Old Version.